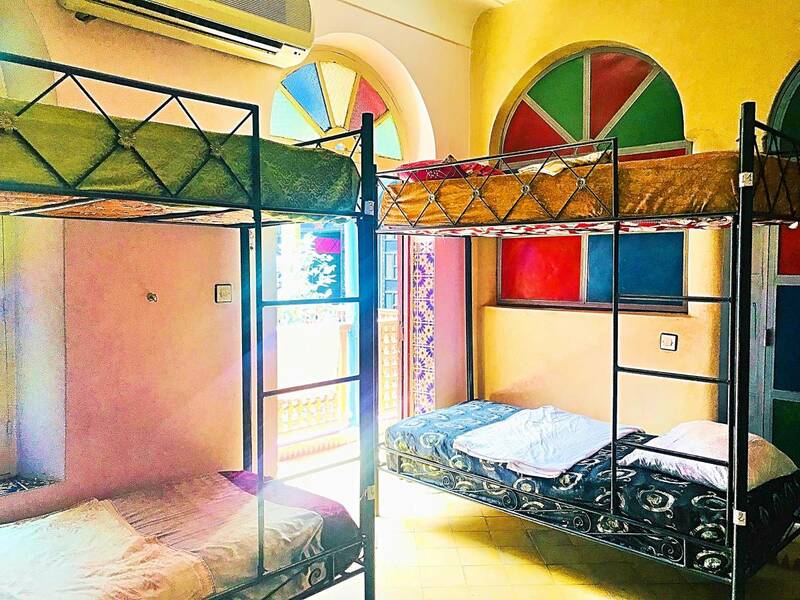 An incredible traditional riad with the atmosphere of a backpackers' hostel. 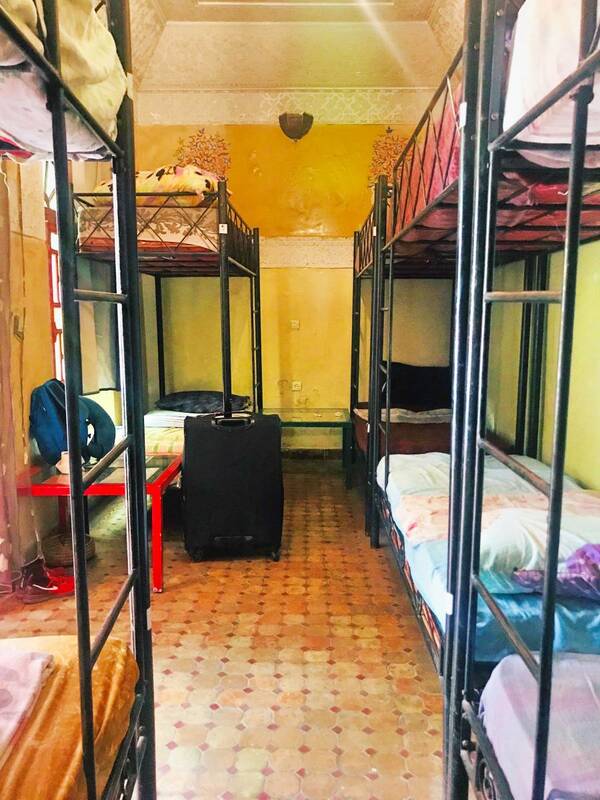 Riad Dia is located less than a minute from the main square, Place D'Jeema el Fna. 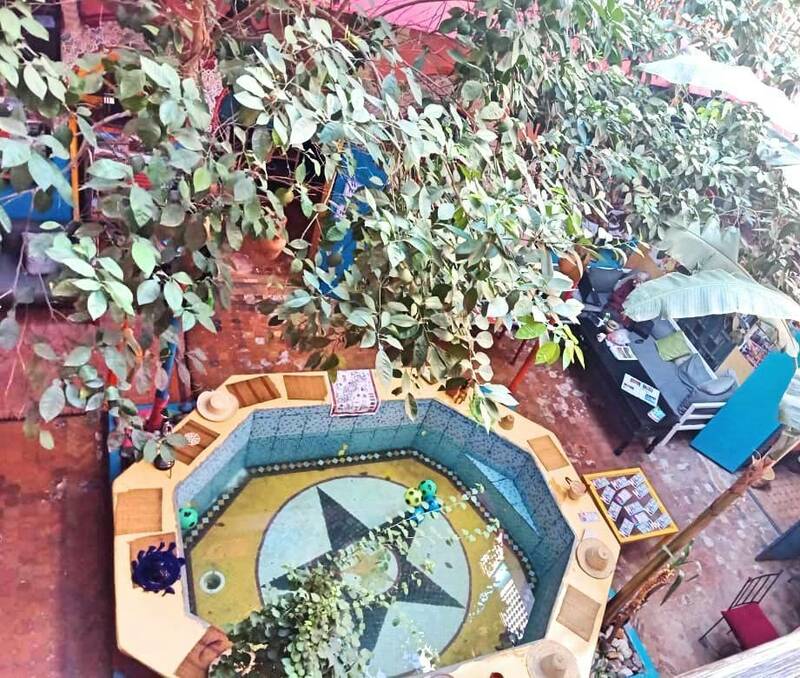 With a lovely circular swimming pool in the communal courtyard - colourful, sunny and social - lots of dorm rooms (and these are no ordinary dorms - they are seriously luxury - and several terraces to sunbathe, relax and do some serial tea drinking! 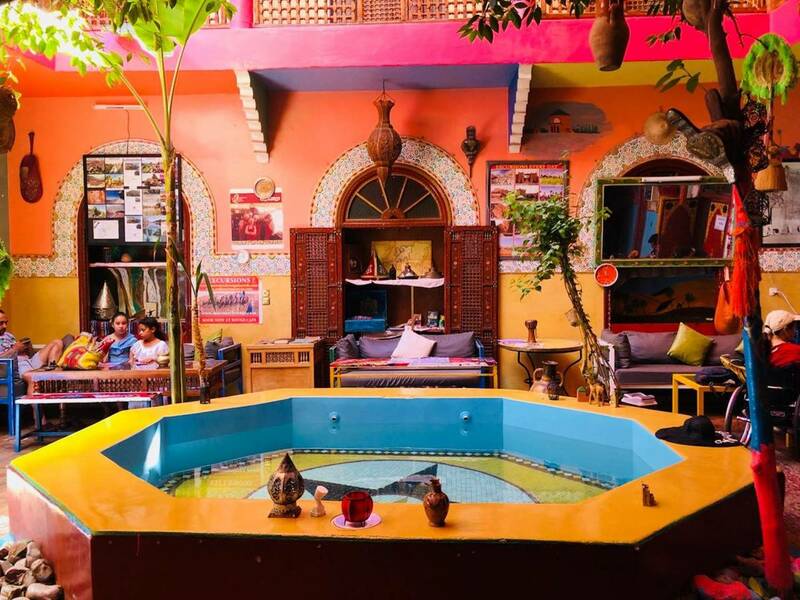 The riad is traditional - but the colours are bright and wild! It is an inside out, upside down, topsy turvy house. The gardens are indoors, you can even do some fruit picking (you'd have to be pretty tall though). 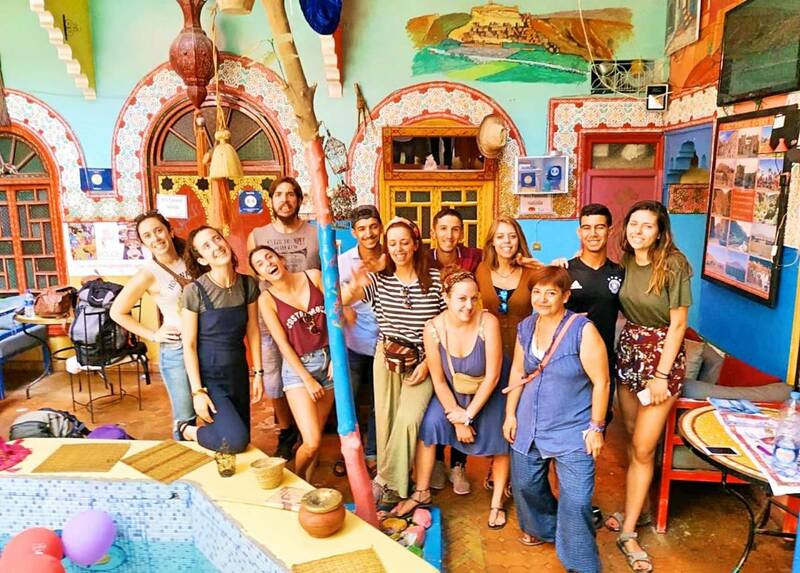 Sit amongst our courtyard gardens with fellow travellers and new friends; make crazy plans for your travels - they will definitely become realities. Or don't make crazy travel plans! 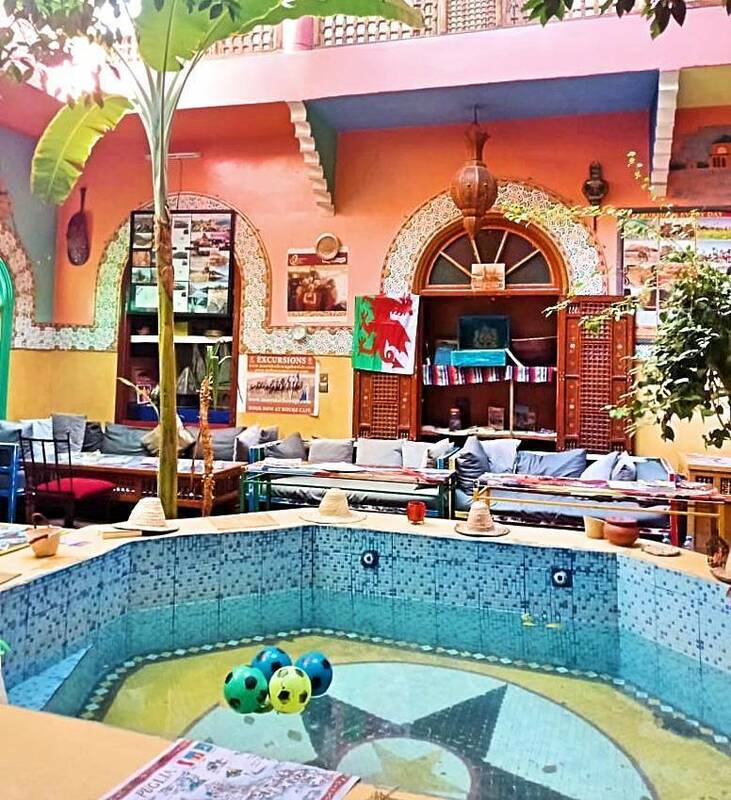 Just enjoy our unique atmosphere, fabulous staff and all the inhouse activities that Riad Dia offers - cooking class, excursions, dinner parties, Gnaoua music evenings and random birthday celebrations. Riad Dia can do anything - and remember - it started out as your dream home that you designed in your mind on a cold, rainy day. The directions begin from the No. 19 Airport Bus stop opposite the Koutoubia Mosque. When you get off the No, 19 bus you will see the Koutoubia Mosque in front of you. Turn around and opposite, on the other side of the road from the Koutoubia Mosque, there is a street with palm trees and small boutiques. Walk down this street. On your left you will see a large hotel called 'Les Jardins de la Koutoubia'. The street bends to the left - follow it still. You will then take the first archway on the left. The archway is pointy and has a ramp and small stairs. On the left is a small spice boutique. After the small spice boutique take the first right. In front of you is a beautiful green door. Follow this small street round (it bends right) and you will see a sign 'DIA' with an arrow pointing to the hostel. It is NO. 6, the large house in front of you. WELCOME TO RIAD DIA - RELAX, DRINK TEA, CAKE and ENJOY YOUR STAY! IF YOU WOULD LIKE US TO MEET YOU AT CAFE ARGANA AND ACCOMPANY YOU TO RIAD DIA - JUST PHONE US ONCE YOU GET TO THE CAFE ON 00212 677171420 AND WE WILL BE MORE THAN HAPPY TO COLLECT YOU.